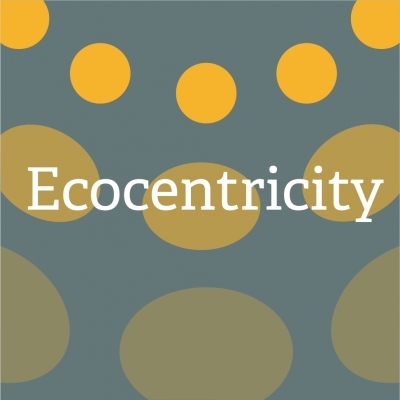 You may have noticed that I don’t talk about politics in Ecocentricity. And I’m not quite sure if talking about how I don’t talk about politics counts as talking about politics, but I still don’t plan to talk about politics (sorry, I know you’ll have to read that sentence twice to make any sense of it). All I will say is that, as of this writing, the United States federal government is in a partial shutdown. Then again, I’m guessing you already knew that. See, that wasn’t politics. Just facts. You might also know that, as a result, most national parks have either closed or remained open without staffing. Plenty of visitors have still entered our parks, and unfortunately they haven’t all followed “leave no trace” principles. Many parks have fallen into disrepair as trash piles up and restrooms go uncleaned. My message to those who have sullied our national parks is simple – do better. Still, I’m going to tuck away my wagging finger and get out my tipped cap instead. This post is less about the ne’er-do-wells and more about the kind-hearted folks who have chosen to rise to the challenge. Here’s an article about volunteer cleanup efforts at the Shiloh National Military Park in Tennessee. This one’s about a paraplegic rock climber who has volunteered for janitorial duty at Joshua Tree National Park in California. Here’s a story about Muslim youth groups who have stepped up in parks in Pennsylvania, Ohio, Florida, and Washington D.C. I know there are many more examples across our country. While I sit here banging away on my keyboard, these folks are out there being stewards of American treasures. I’m sure it hasn’t been a pretty job, and I know you won’t get paid a dime. Bless you kind souls. I thank you and I salute you. While my grandfather’s example was the seed of my environmental ethos, that ethos took root in the Shenandoah National Park during my college years. I frequently made the half-hour drive from the University of Virginia to the southern entrance of the park. During many hikes along its rocky ridges and through its verdant valleys, the Shenandoah taught me lessons that were simple but pure. Lessons like the value of slowing down and that autumn in Virginia is sacred. I love that national park. And if I had to guess, love is what motivates all of these remarkable volunteers. Perhaps it’s love of nature and love for their communities. It might be a fervent love for America and for her fallen soldiers. Maybe it’s a simple love for serving others and doing the right thing. These people are an example of America at its best. We need more of that. Once again my friends – I thank you for your gift to us all.